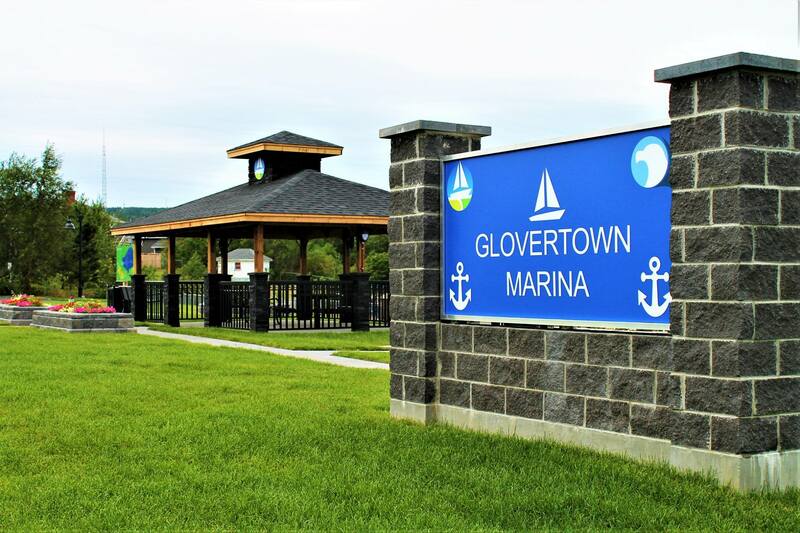 Projects – Progressive Engineering & Consulting Inc.
Progressive Engineering and Consulting (PEC) were engaged by the Town of Glovertown to redevelop their waterfront area to create an attractive and functional Town Centre. PEC completed design, contract administration and site inspection for the full civil works scope. Rowsell Appleby Newton (RAN) were engaged as the electrical sub-consultant and completed design of the exterior lighting. 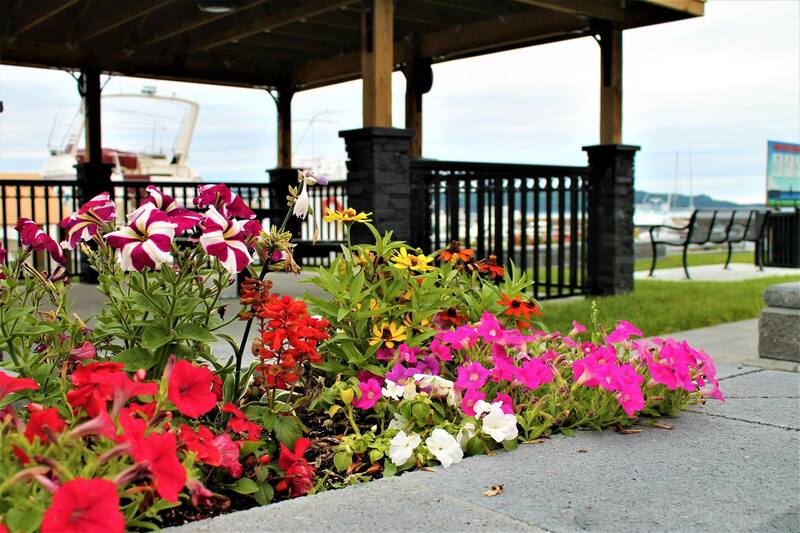 The scope of work consisted of a new parking lot and grading, marina entrance upgrade including a recon block retaining wall, gazebo, signage, landscaping, pedestrian walkway lights, benches and trash cans. 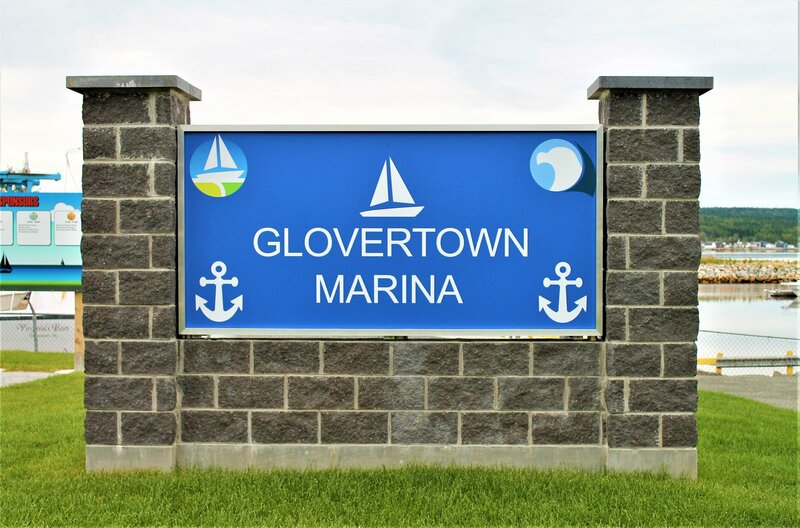 Redesign of the marina entrance was challenging due to the existing steep grade of the entrance. 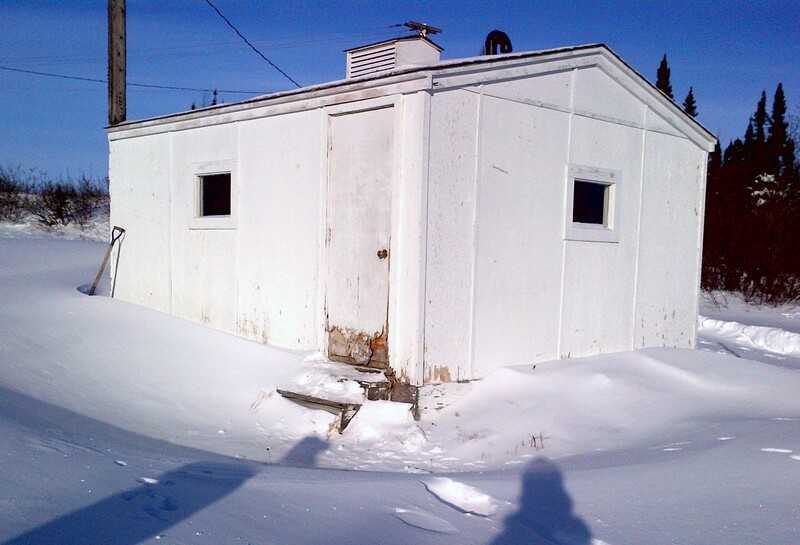 Design had to consider that trucks towing large boats and trailers would be need to access the site. 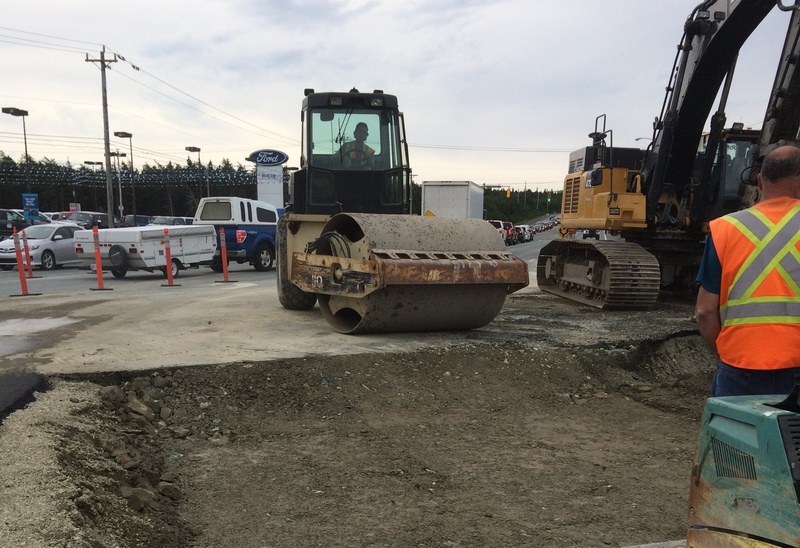 The grade was reduced as much as possible and the entrance was widened to ensure adequate space to accommodate these vehicles. 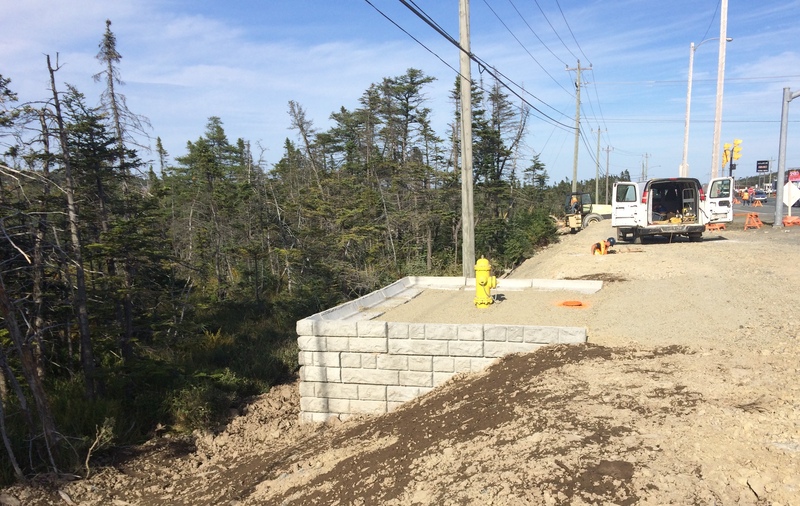 Retaining walls were required to tie the new access road into adjacent properties due to the large grade difference. 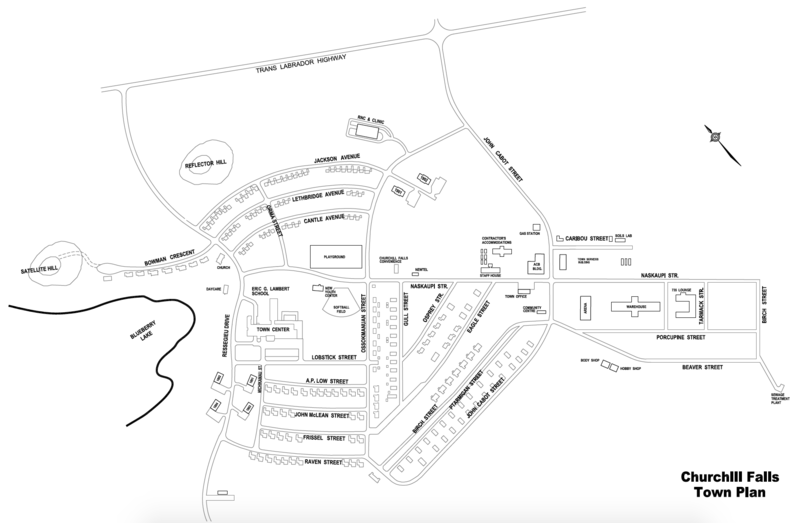 During construction, vehicular and pedestrian traffic had to be accommodated daily on the access road and the parking lot. At the end of the project, the Town was very satisfied with their new Town Centre which is appealing to both residents and visitors. 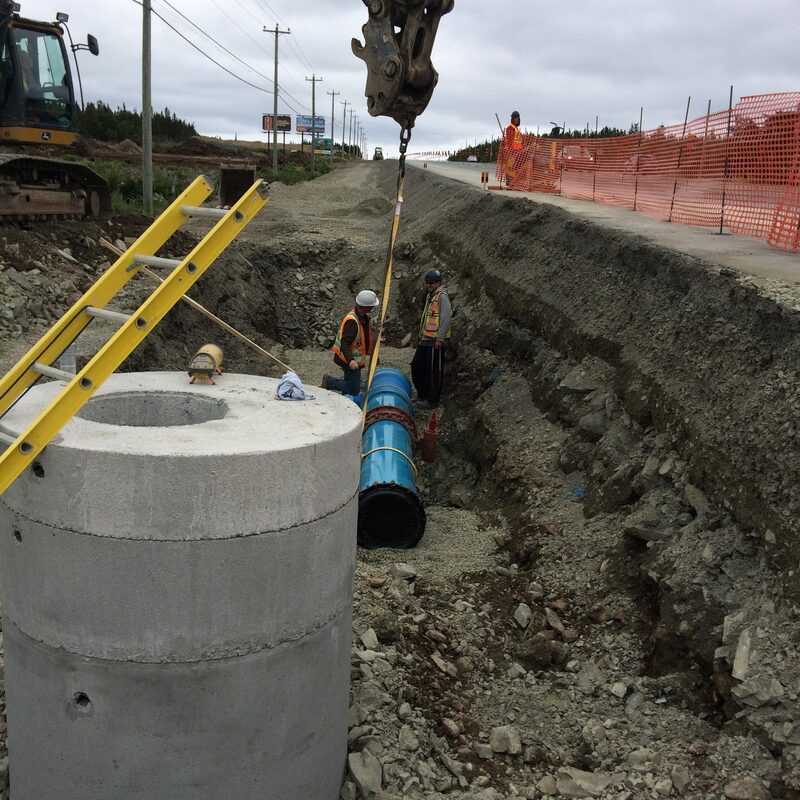 PEC was engaged by the Town of Botwood in 2013 to design, tender and administer the construction of a Sanitary Sewer diversion project. 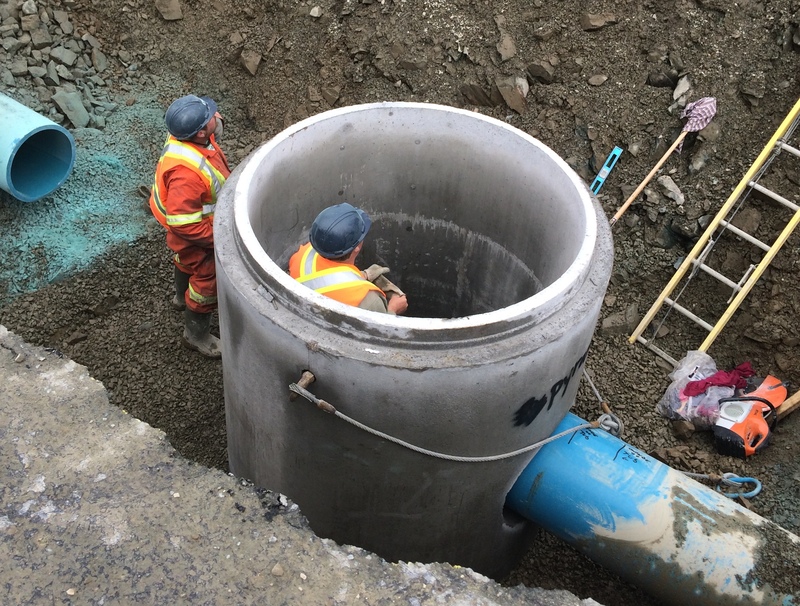 The work scope entailed the upgrading of the existing deteriorated and substandard sanitary sewer system including upgrades and reconstruction of the roadway structure. 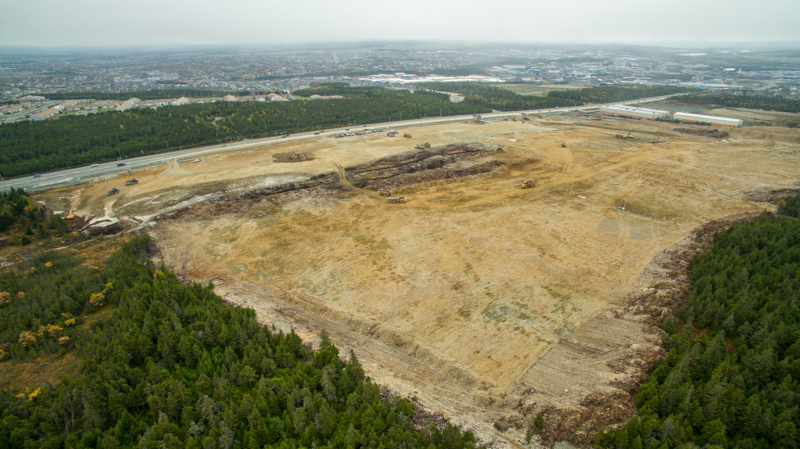 We faced several challenges during construction including unsuitable material (USM) in the roadway bed, contaminated soils, incorrect/non-existent as-built information, old abandoned lines from the former Abitibi site and so on. 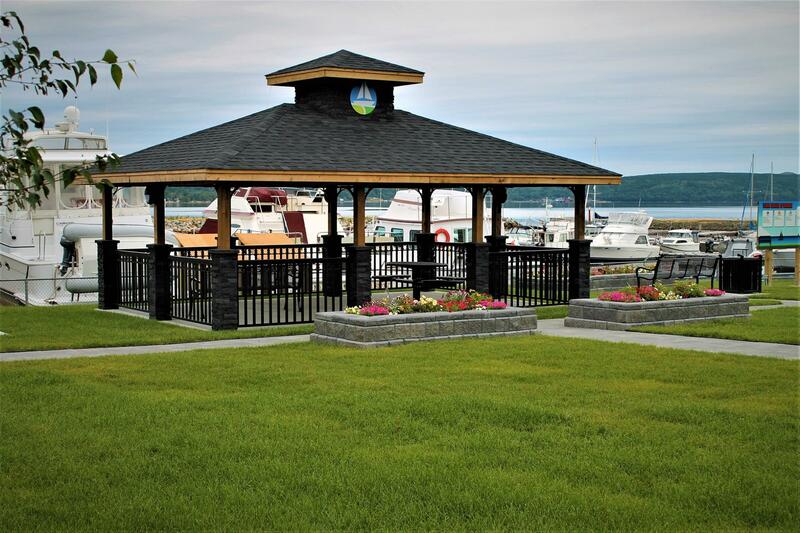 We worked with the contractor, the Town of Botwood staff and government authorities to find acceptable resolutions to these issues in a timely fashion. 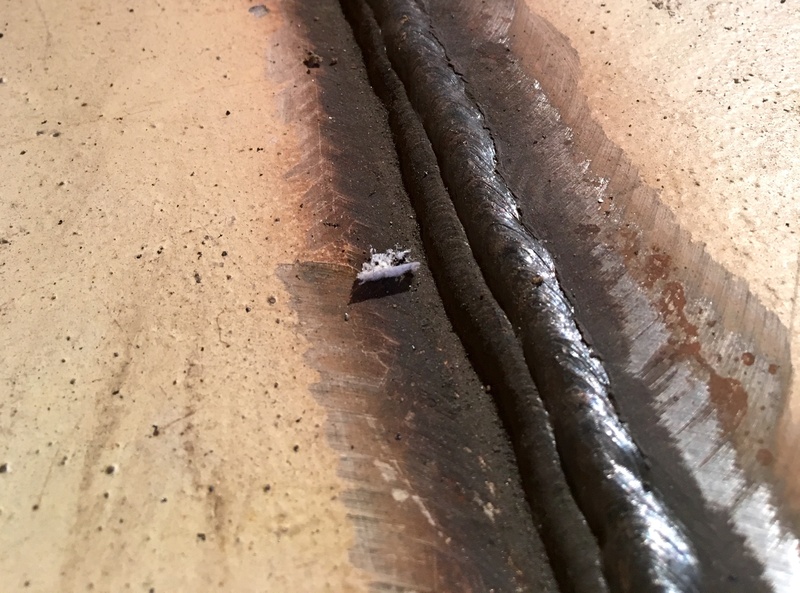 We engaged a geo-technical firm to conduct testing and provide guidance on the contaminated soils issue and we ensured that the contractor handled and disposed this material in the proper manner, all the while diligently tracking the cost to ensure it did not negatively impact the overall project budget. 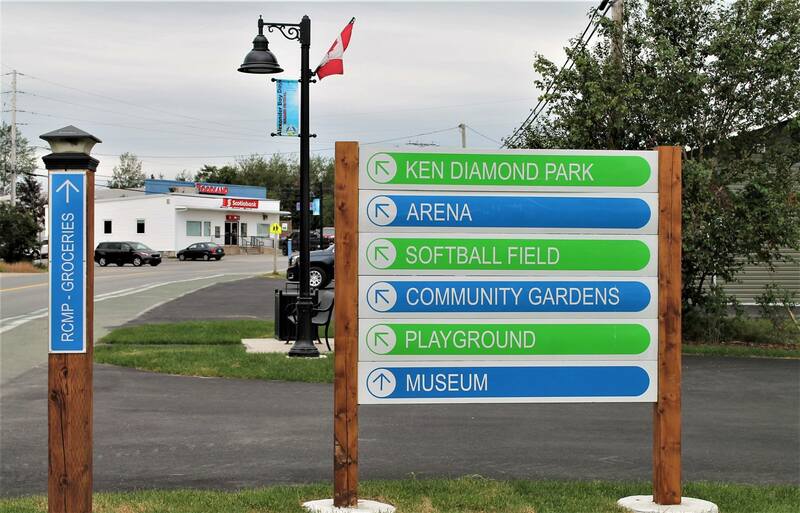 The project was successfully completed in the fall of 2014 and it was completed approximately $57,000 (13.5%) below budget and on schedule despite the unforeseen issues noted above. 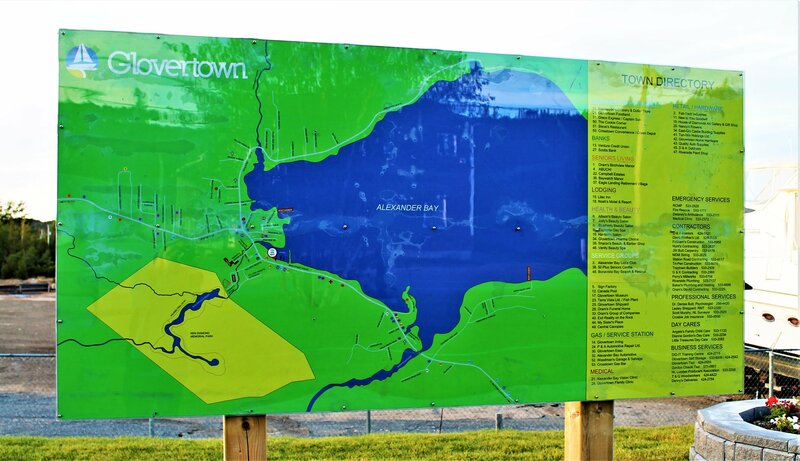 PEC, ENG and RDB were engaged by NALCOR in 2013 to conduct a review of their existing Wastewater Treatment Facility and to conduct a Best Available Technology (BAT) Study. 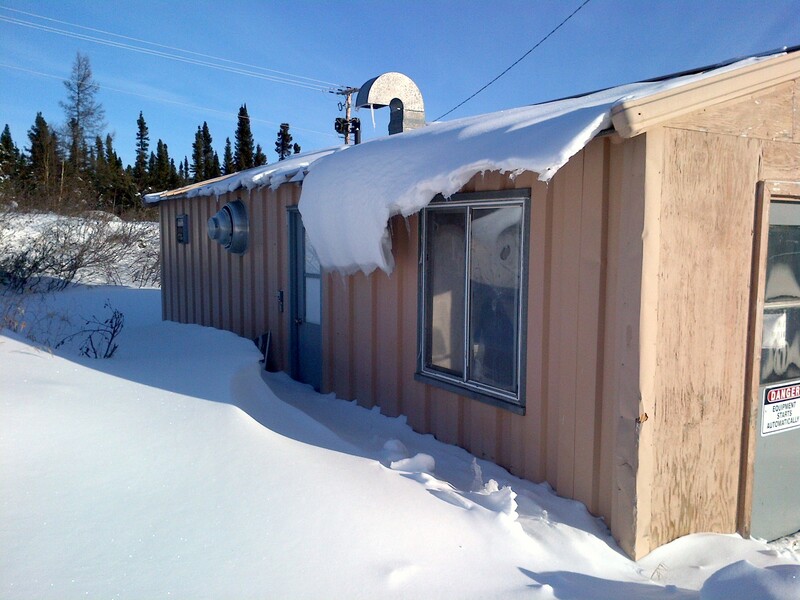 The intent of the BAT study was to help determine how the company town of Churchill Falls should proceed to upgrade or replace the existing treatment facility which was not meeting the treatment guidelines. The BAT Study concluded that the existing system could be upgraded for significantly less cost than a new system. 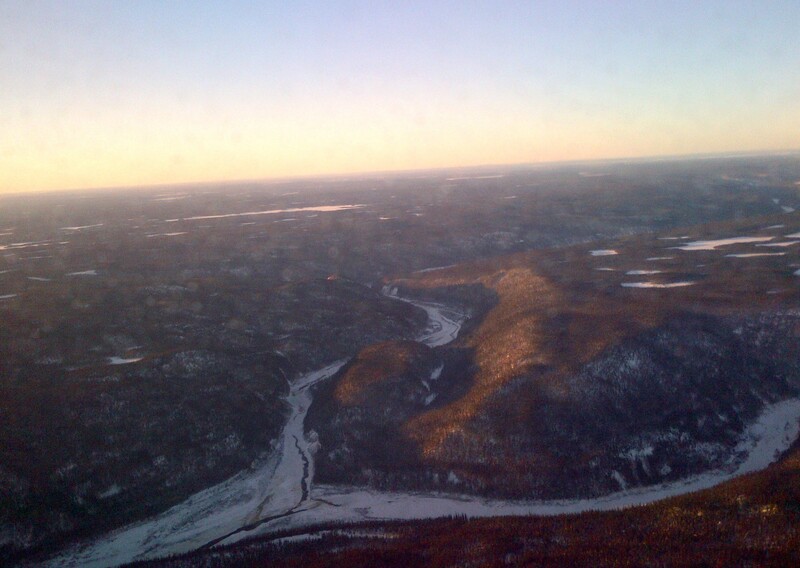 A detailed assessment of the existing system was conducted and a work scope and associated budget was presented to NALCOR. 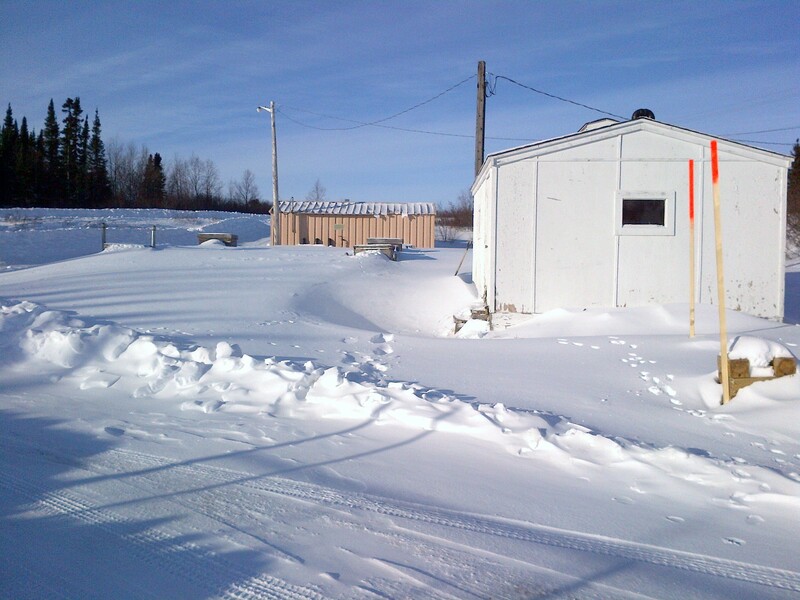 NALCOR engaged our team to move forward with the upgrades and the work was successfully completed on time and on budget in 2015. 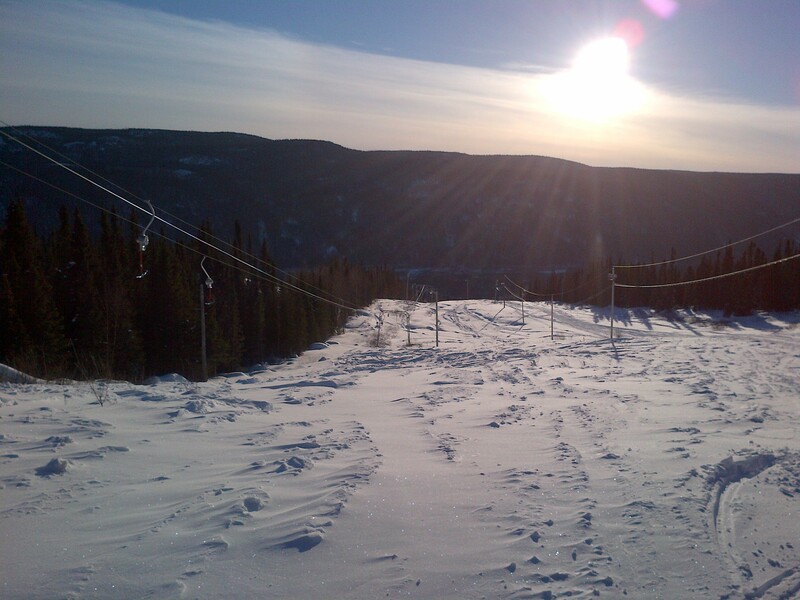 Our engineering team actually procured various equipment and instruments and we physically completed the installation with the assistance of NALCOR forces. 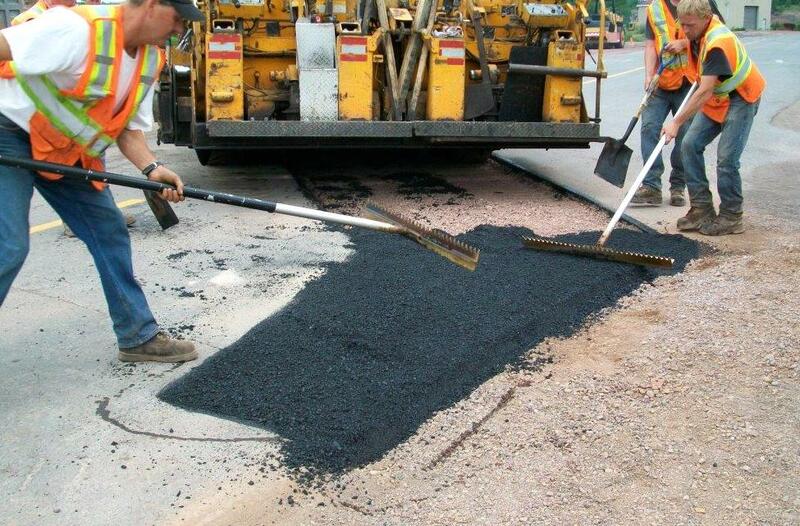 The Civil Works and UV Building was tendered and we administered the works. 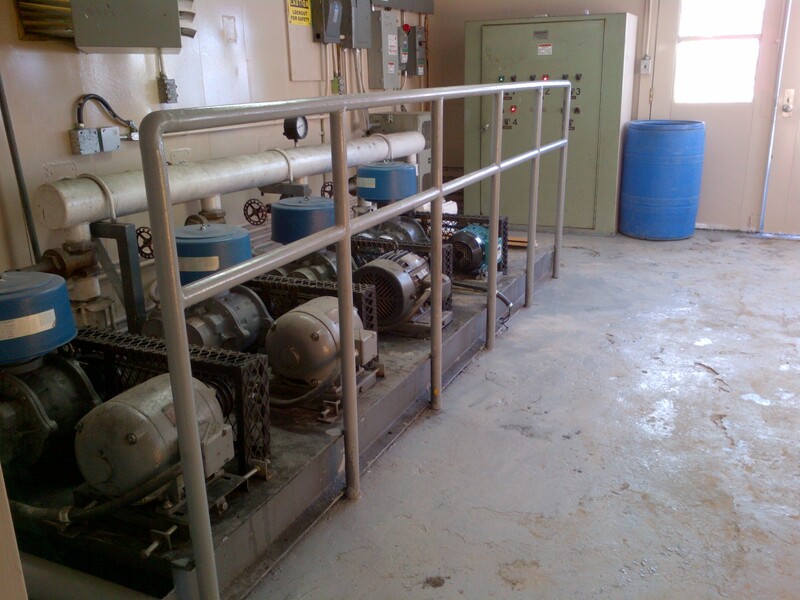 The treatment system presently meets DOEC’s treatment guidelines with BOD and SS less than 30 ms/l and 20 mg/l respectively. 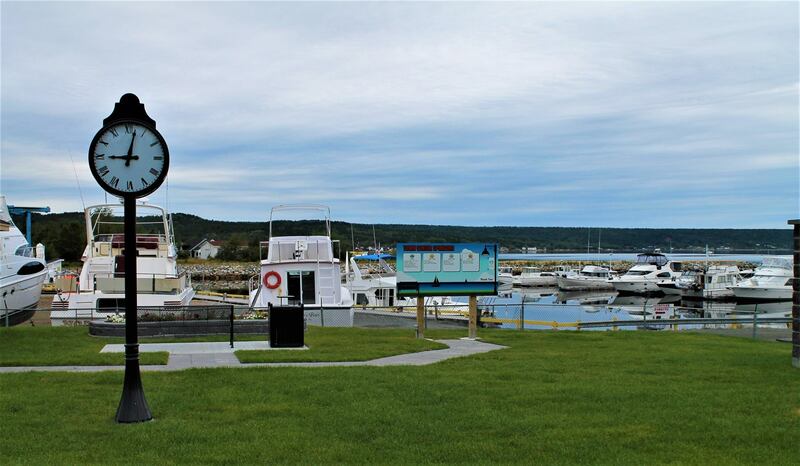 PEC was engaged by the Town of Placentia in 2014 to assess their two existing leaking potable water storage tanks and to determine the best and most cost effective approach to address the situation. 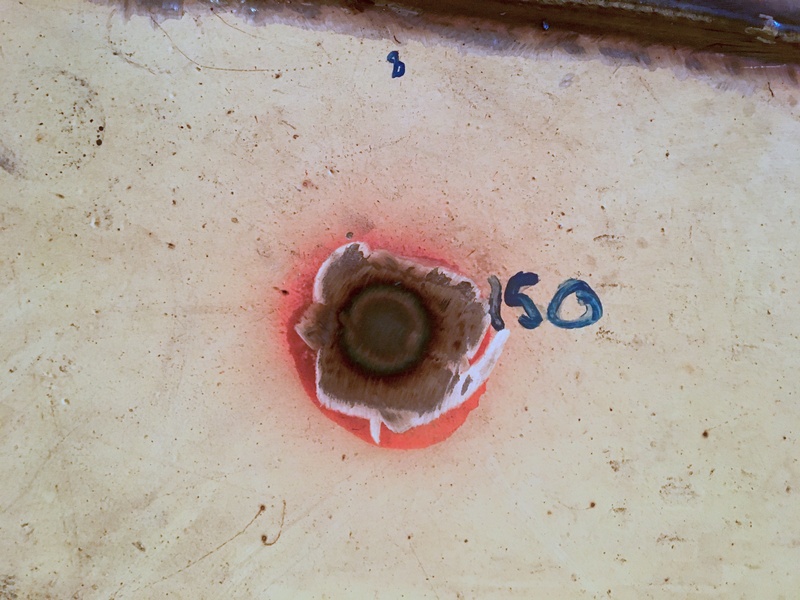 PEC’s assessment, prepared with input from steel testing and inspection companies, determined that a total replacement would be the most cost effective solution. The Town secured funding to replace one of the tanks at the Castle Hill site. 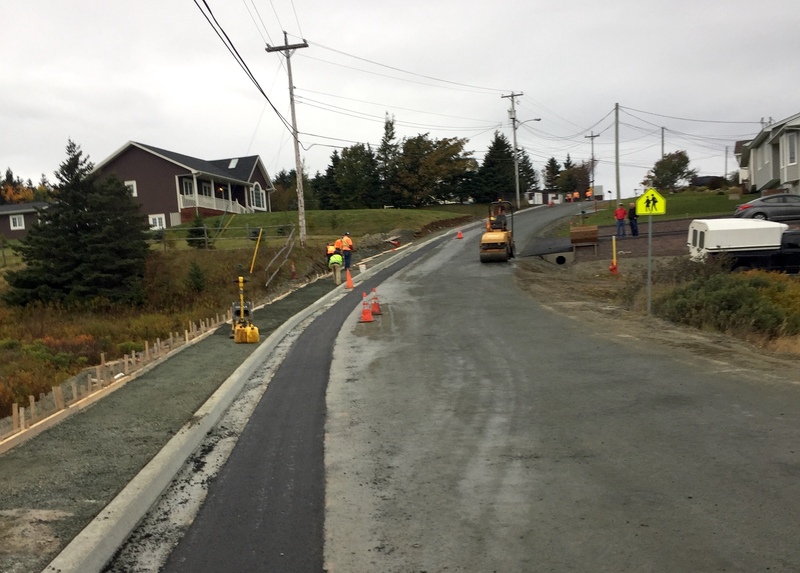 At that same time, PEC was finalizing several other capital works projects within the Town of Placentia and determined that there was enough cost savings realized on the other works to cover the cost of replacing the existing tank at the Freshwater site as well. PEC proceeded to design these two separate tank sites to complement the existing and future water distribution system demands. PEC prepared performance specifications and conceptual layouts and issued and awarded a Design-Build proposal call for the Castle Hill and Freshwater tanks. We faced several challenges on both tank sites and the lack of accurate and/or available as-built drawings presented numerous difficulties. 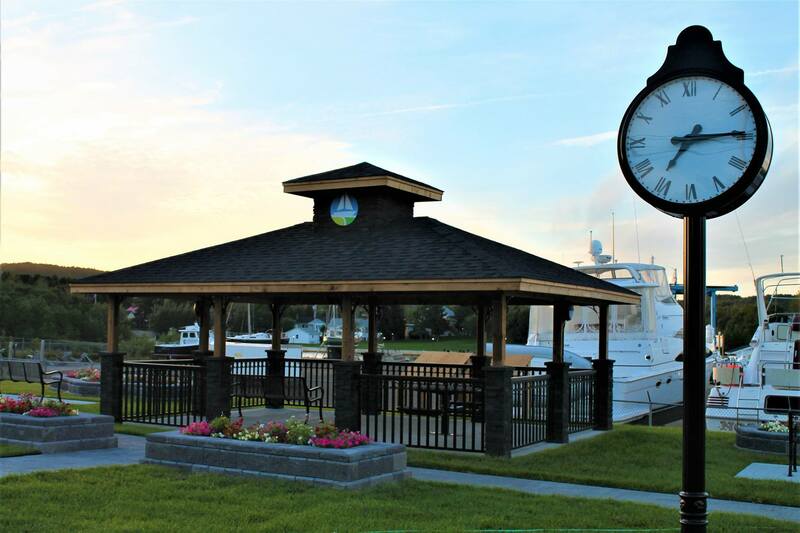 However, by establishing a great working relationship with Town staff, the successful contractor and their sub-contractor, PEC was able to work through these issues with no negative impact to the cost of the project or the timelines. Both new tanks were successfully completed in the summer of 2016, on time and on budget. 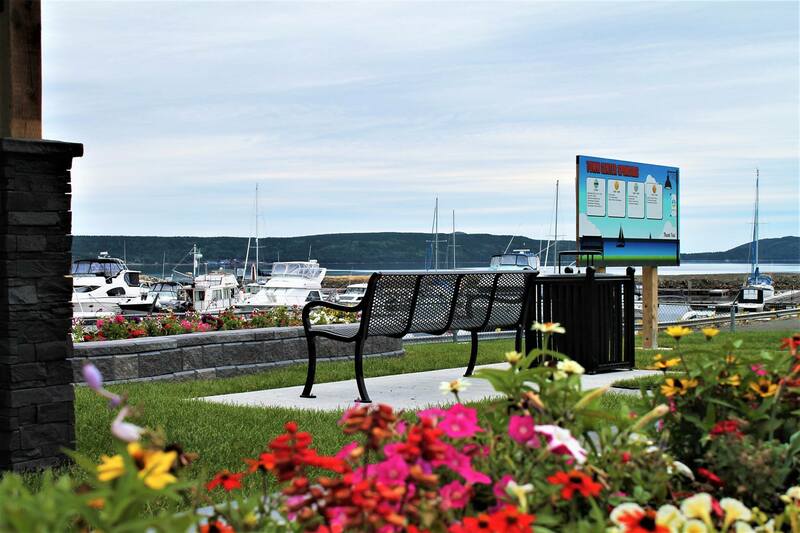 We consider this project to be a huge success as does the Town of Placentia. 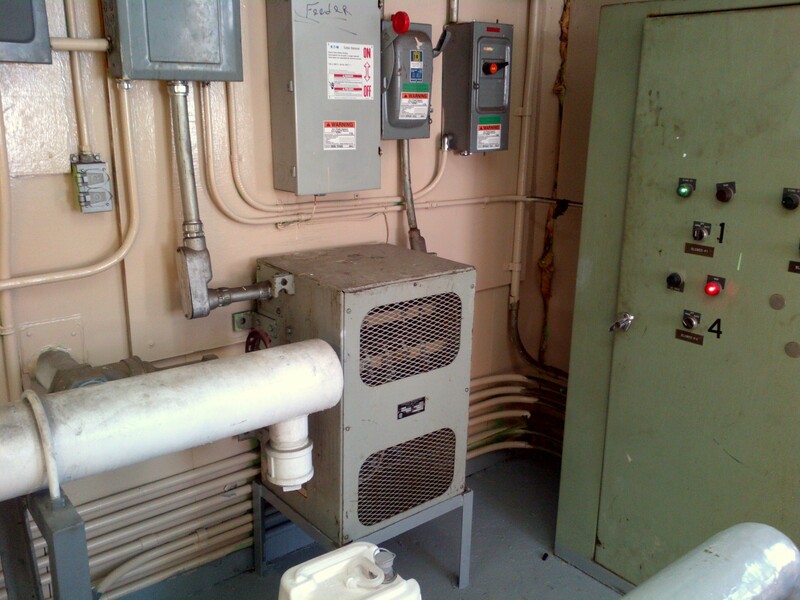 A project that started with two failing, existing tanks with only enough funding to replace one, turned into two brand new state-of-the art glass lined bolted steel plate potable water storage tanks complete with the necessary controls upgrades to compliment the water distribution system while meeting all domestic and fire flow requirements. 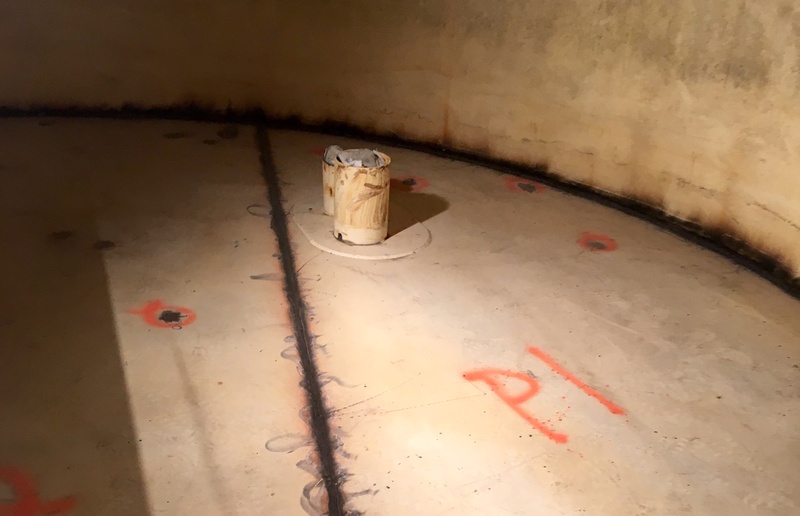 PEC was engaged by the Town of Musgrave Harbour to investigate apparent water seepage around the base of their epoxy coated welded steel water storage tank. 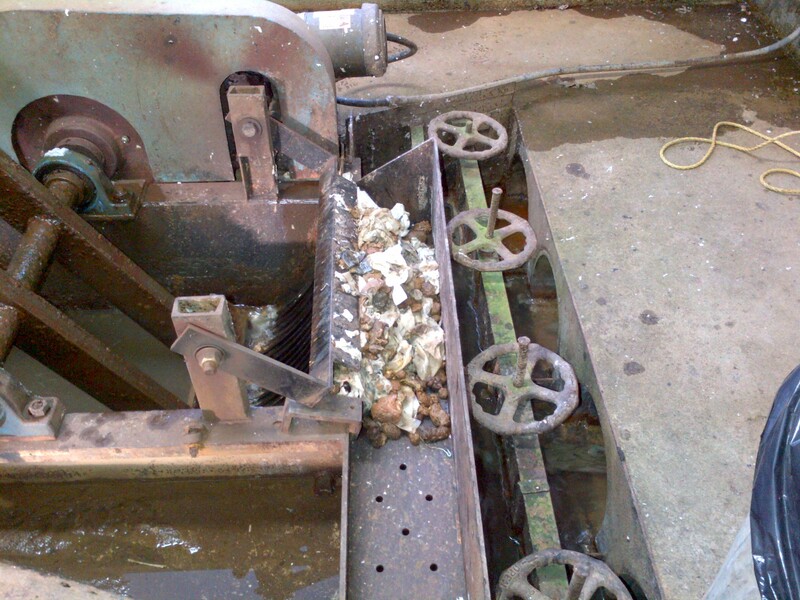 PEC staff visited the site and compiled a scope of work to address the problem. 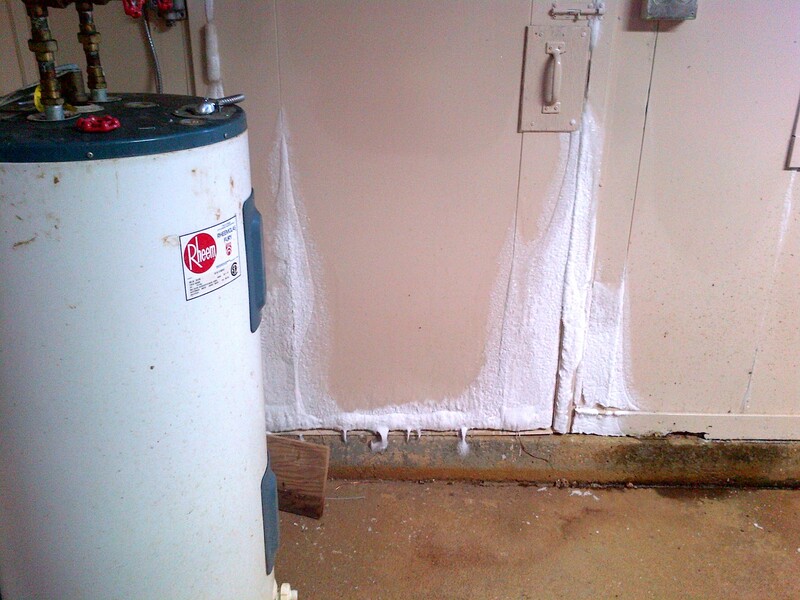 The condition of the tank was very poor and the project was classified as an emergency. 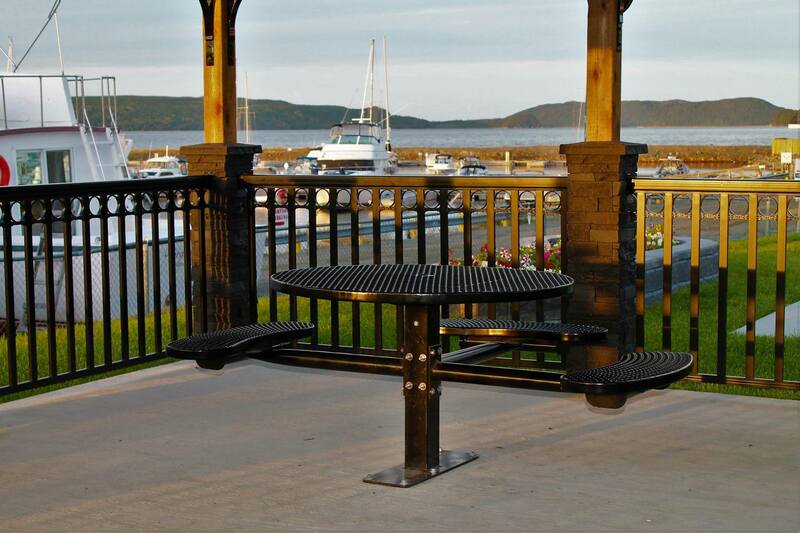 PEC was engaged to proceed with the entire work scope on a project management basis. 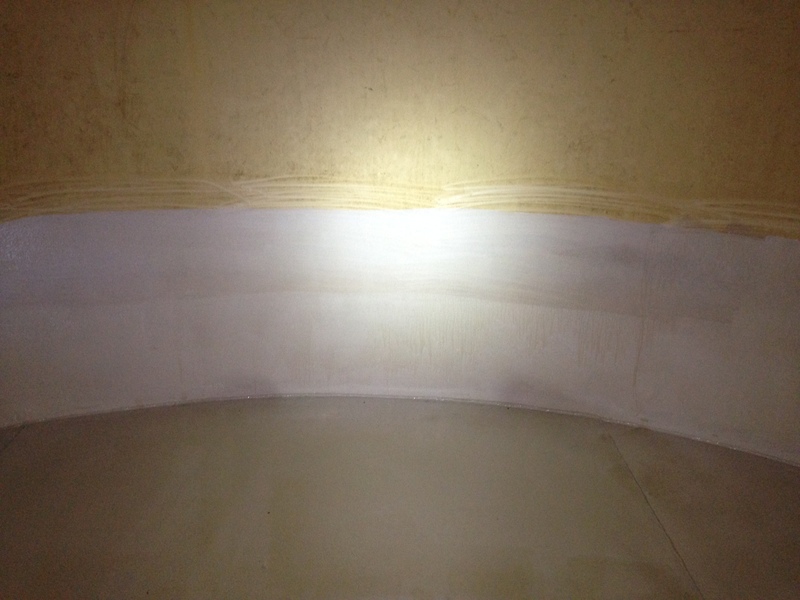 PEC immediately compiled the first quotation package and a company was engaged to drain down the tank and pressure wash the confined space interior. 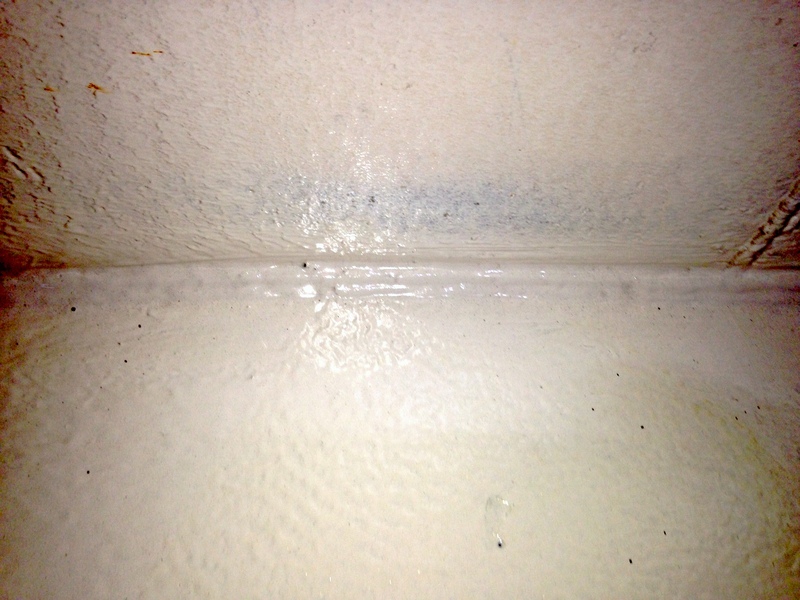 This work was completed with the assistance of PEC staff on site. 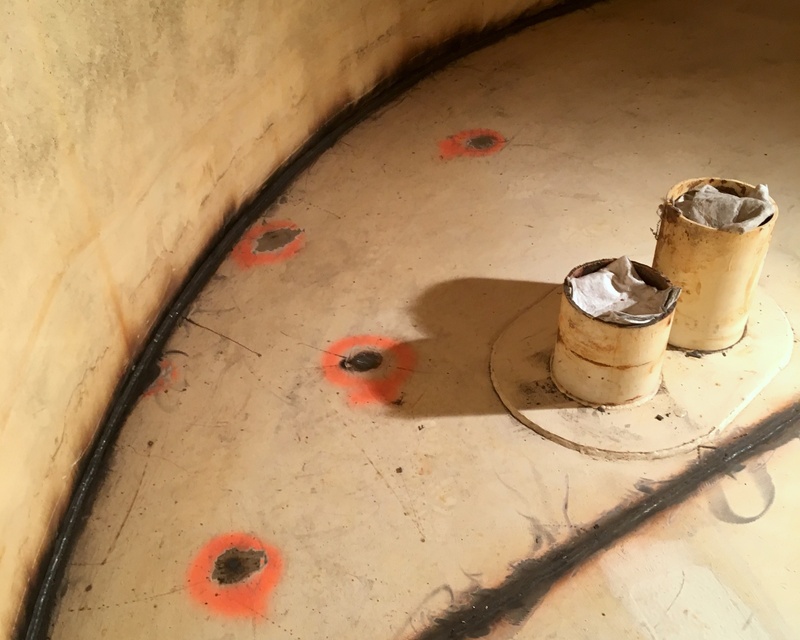 The second quotation package for UT Testing was then issued and a testing agency was engaged to conduct UT testing of the entire tank structure. 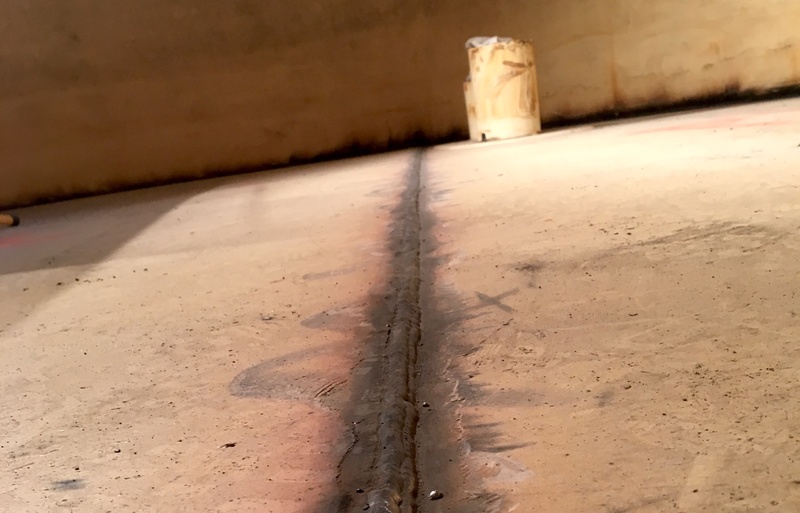 The welds and penetrations around the lower section and the floor were found to be in the worst condition. 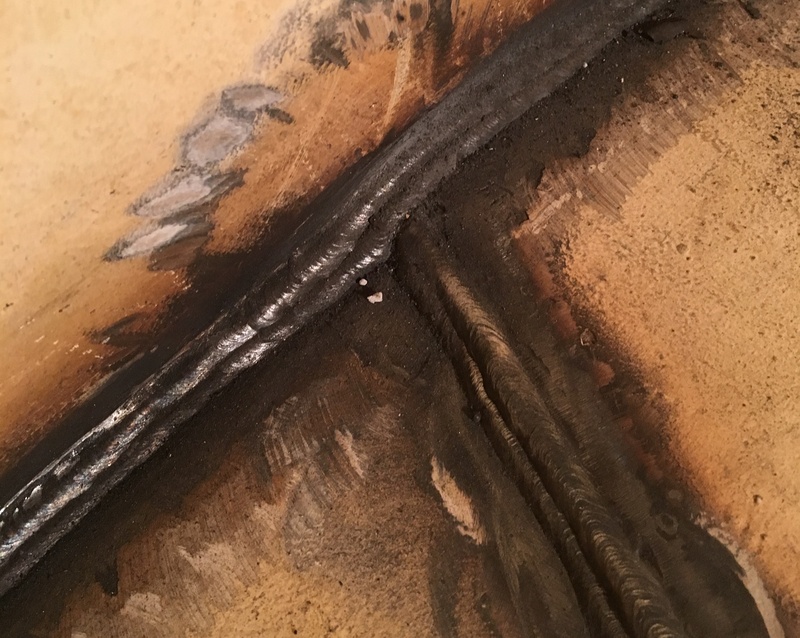 A third quotation package was then issued and a welding company was engaged to grind out all the welds, weld the joints and apply 1 coat of primer and 2 coats of potable water grade epoxy paint. 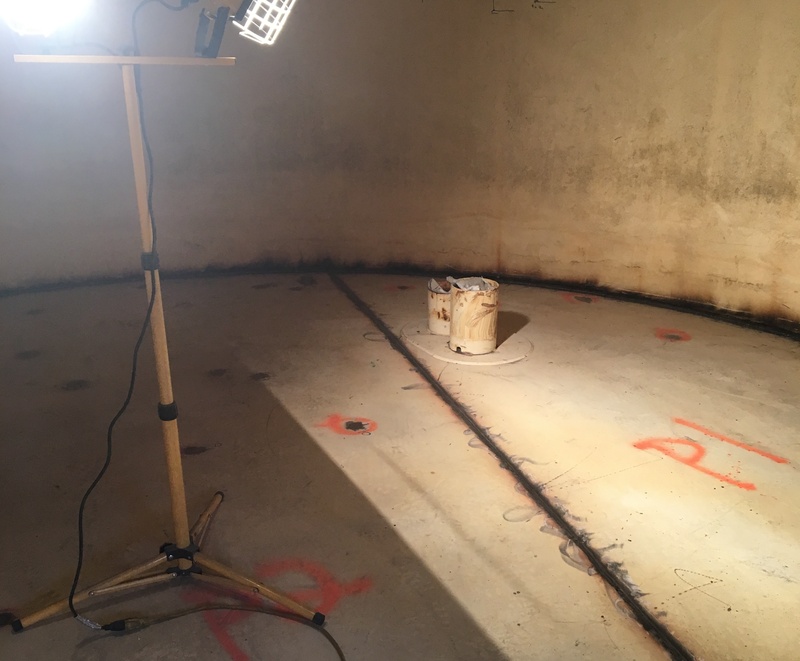 During the repairs it was noted that the sample line from the tank to the pressure transmitter building had to be replaced so a local contractor was engaged to complete this work. All of the above noted work was completed in 3 months for a cost of $120,000. 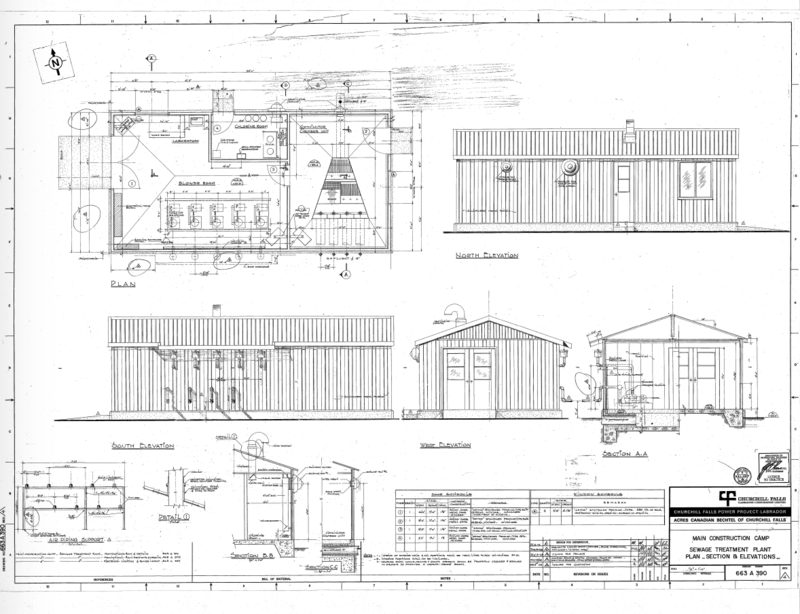 Employing a project management approach permitted this work to be completed on a schedule and within a budget that could not be realised under a traditional design and tender process. 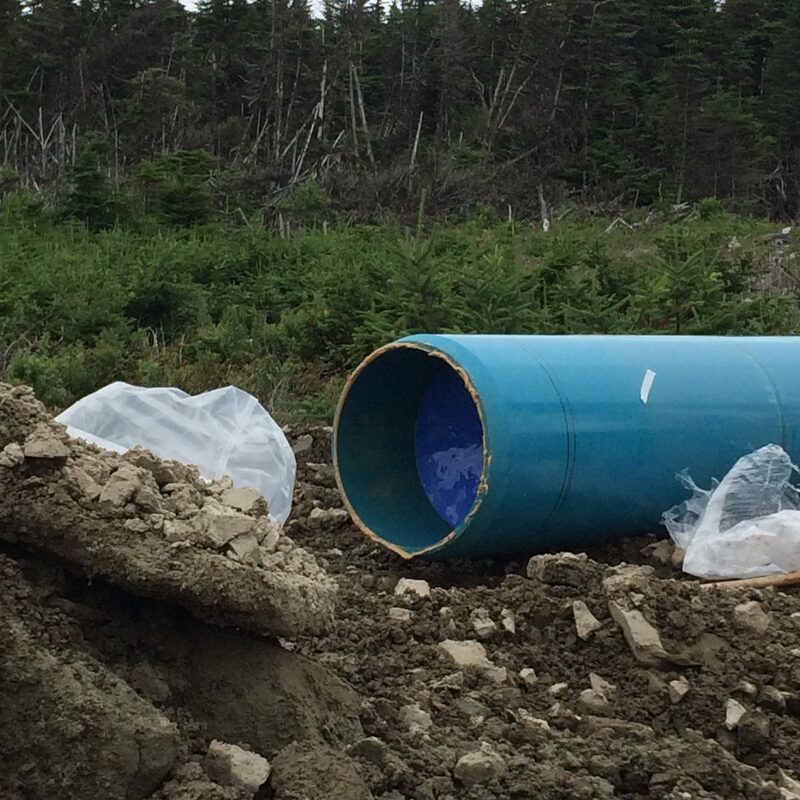 PEC was engaged by H3 Development in 2015 to determine if the St. John’s Regional Water System could deliver water to the restricted lands above the 190m contour on Kenmount Road. 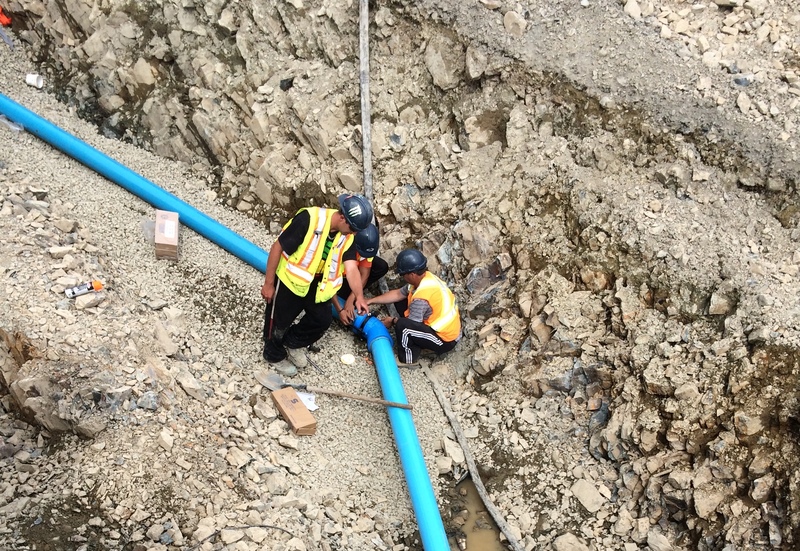 PEC completed water system modelling and flow testing that proved that 3000 USGpm could be provided to the proposed site. We were subsequently engaged as the prime consultant on H3’s Commercial/Industrial Development valued at more than $26,000,000. 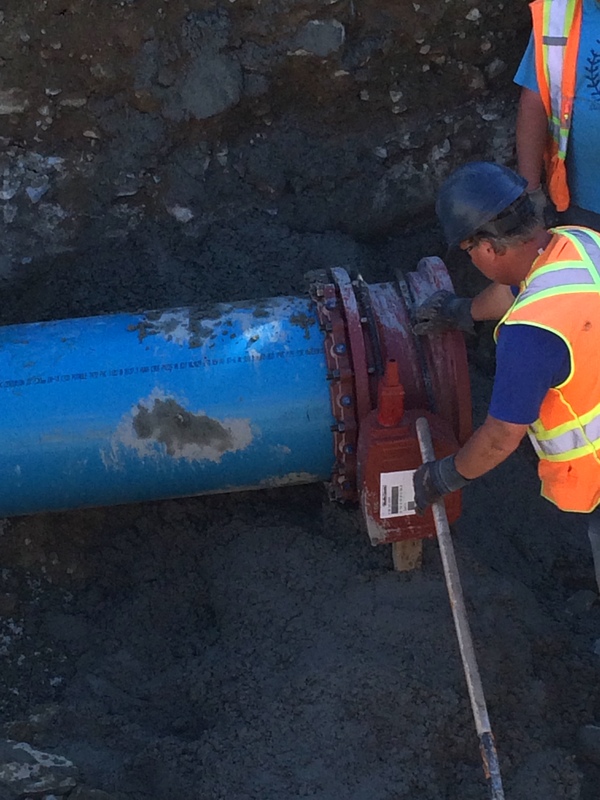 The 1170m of large diameter 500mm diameter water transmission main was supplied by a new 3000USGpm pumping system complete with a 400KW backup diesel generator. 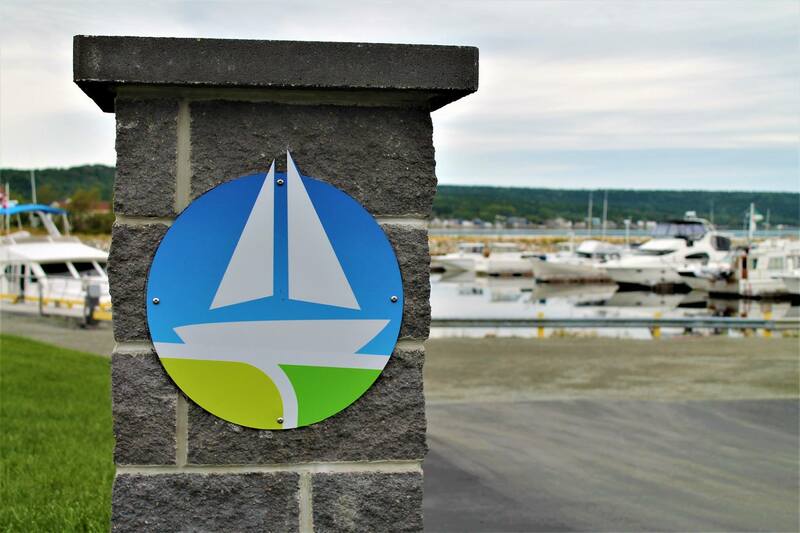 Harbourside Transportation Consultants (HTC) and Rowsell Appleby Newton (RAN) acted as the sub-consultants for the transportation, mechanical and electrical engineering services. Our first challenge was to convince City Officials that the regional water system could provide the water flows required by H3. PEC’s team separated the first phase into 5 tender packages to control costs and solicited quotations for each package. 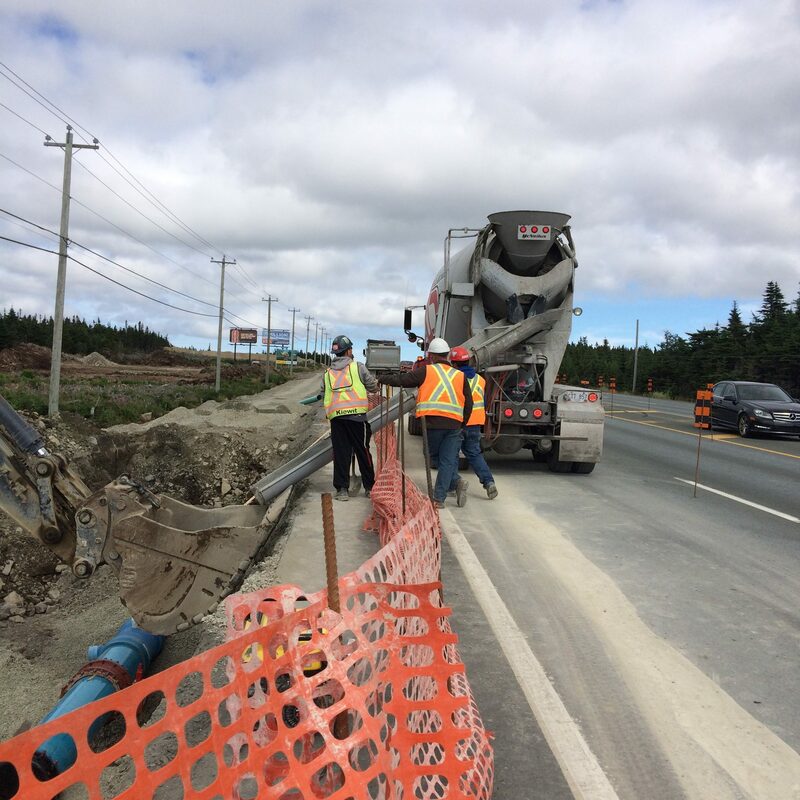 Traffic congestion on Kenmount Road posed significant construction challenges but our traffic diversion plan alleviated this issue. The project was successfully commissioned at 3000 USGpm in the fall of 2017 and the 5 contracts were completed on time and 3% under budget. 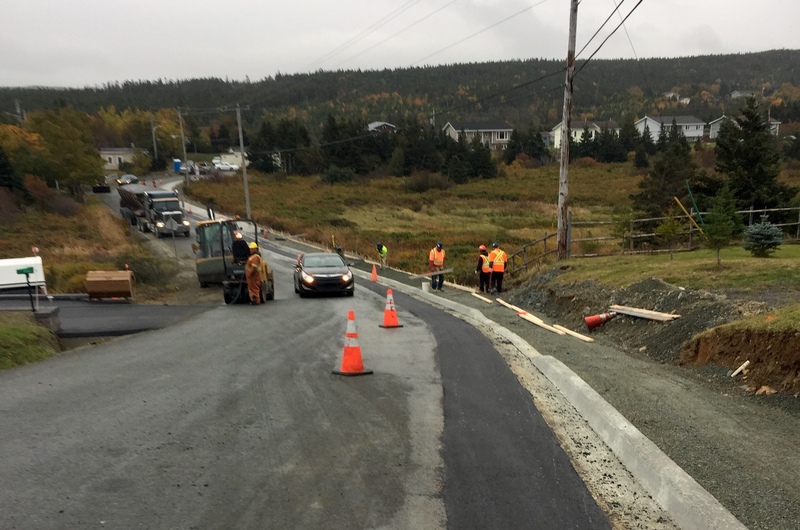 The design is presently near completion on the next phase of water, sewer, storm sewer and road work valued at $7,600,000. 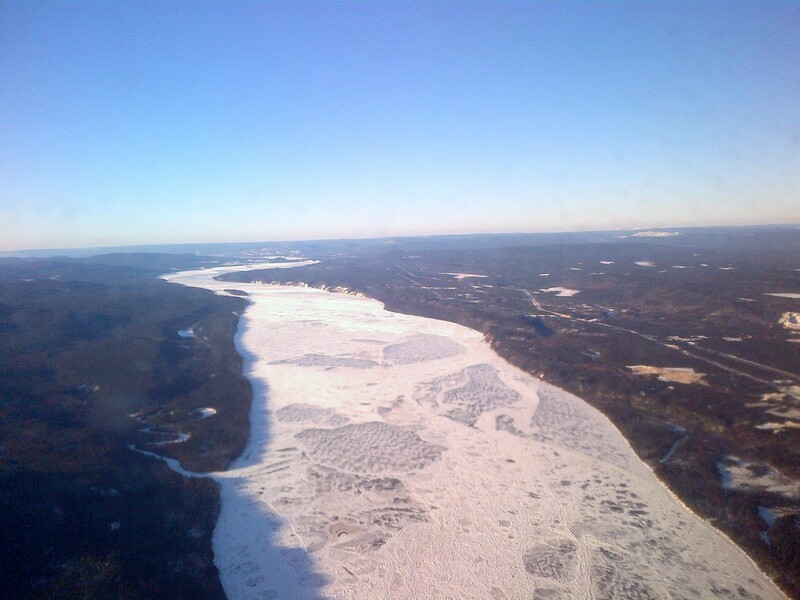 PEC was engaged by the Town of Torbay to study the limits of the flood plain in the area of Torbay known as “The Gully”. The area is zoned as an ecological reserve and consists of several streams and wetlands that discharge through a bottomless arch culvert on Lynch’s Lane. 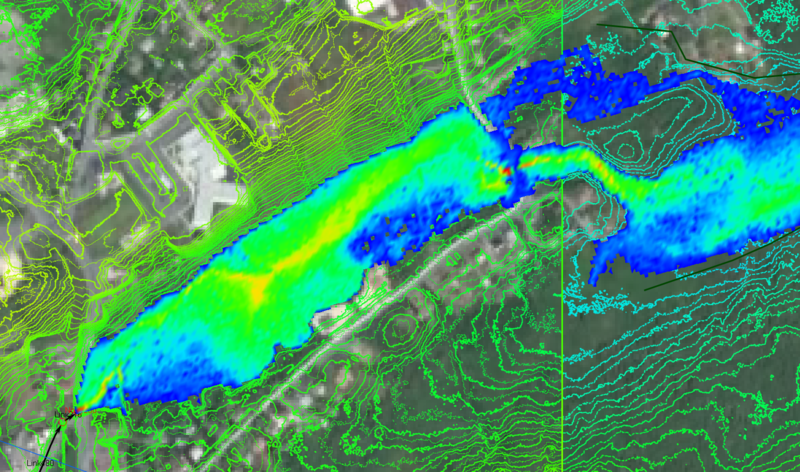 Through detailed modelling of the area using the XPSWMM storm water modelling software, which included data collection and integration with LIDAR data, PEC was able to identify that there were several existing properties that are at risk of flooding during a 1:50 year and 1:100 year storm event. PEC then implemented flood mitigation solutions in the form of a vegetated berm along the downstream end of the gully and upsizing the bottomless arch culvert at the outlet. 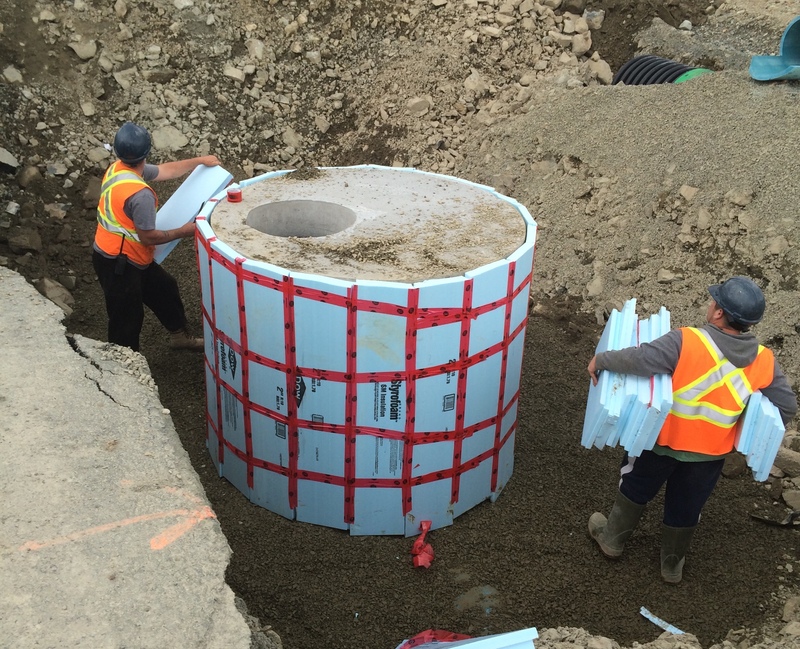 These solutions were modelled in XPSWMM to demonstrate their effectiveness and after appropriately sizing the culvert and determining the appropriate berm height, a set of construction drawings and estimate were prepared for the Town to tender the work for the future. 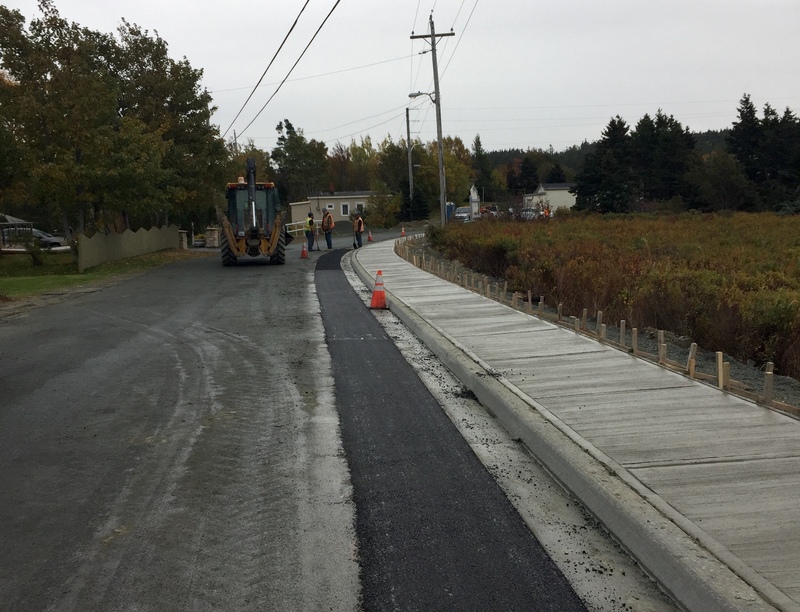 PEC was engaged by the Town of Torbay to upgrade an existing rural street to encompass 653m of curb, gutter and sidewalk. 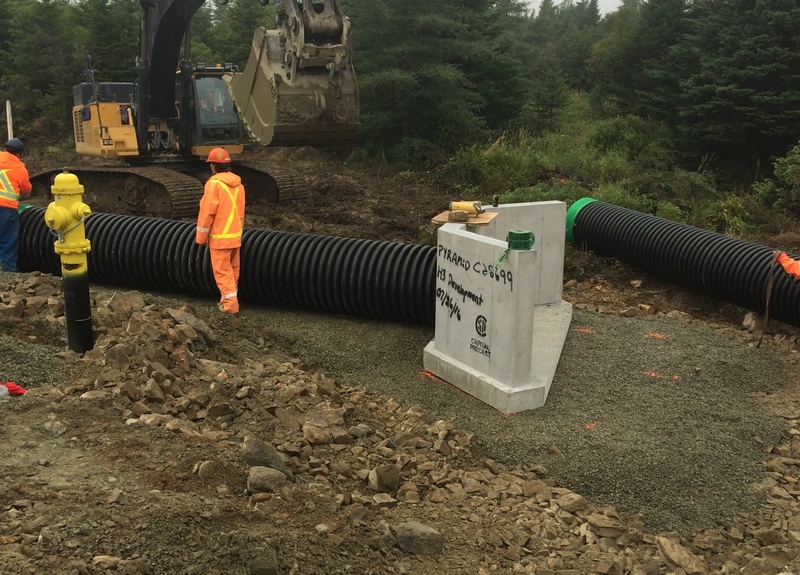 We dealt with the existing storm water issues present in numerous areas along the roadway by adding new storm sewer system consisting of catch basins, manholes, outlets and storm sewer. 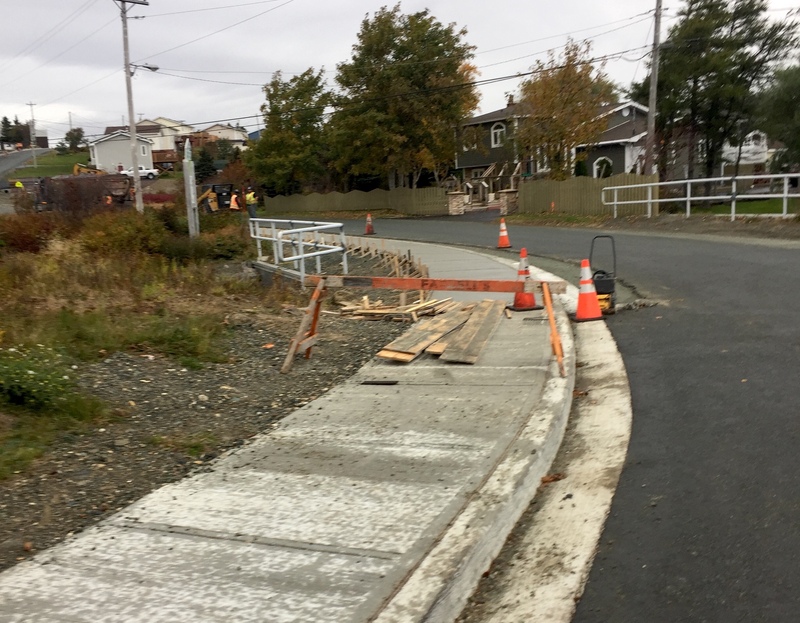 The existing elevation and grade on the street had to be modified in the design to obtain positive grade and eliminate the existing storm drainage issues, while ensuring all existing driveways were tied into the new street properly. 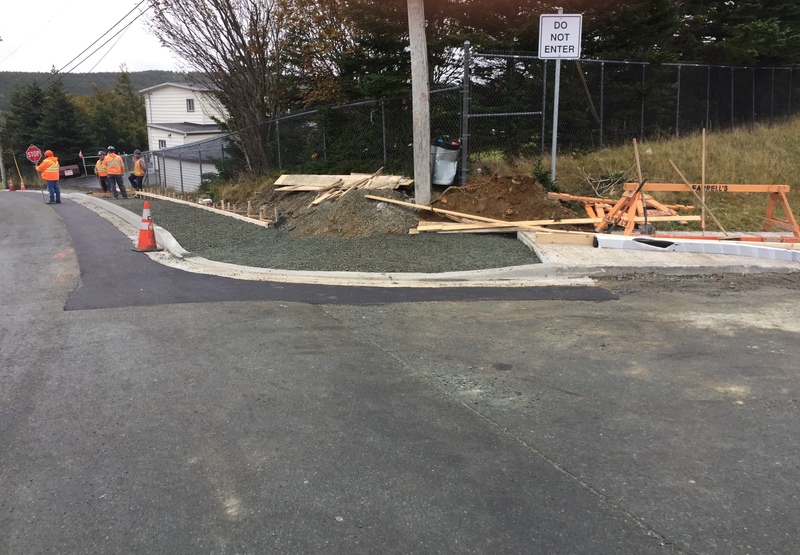 Some of the existing driveways were very flat and we needed to ensure we did not introduce new storm water drainage issues onto these properties. 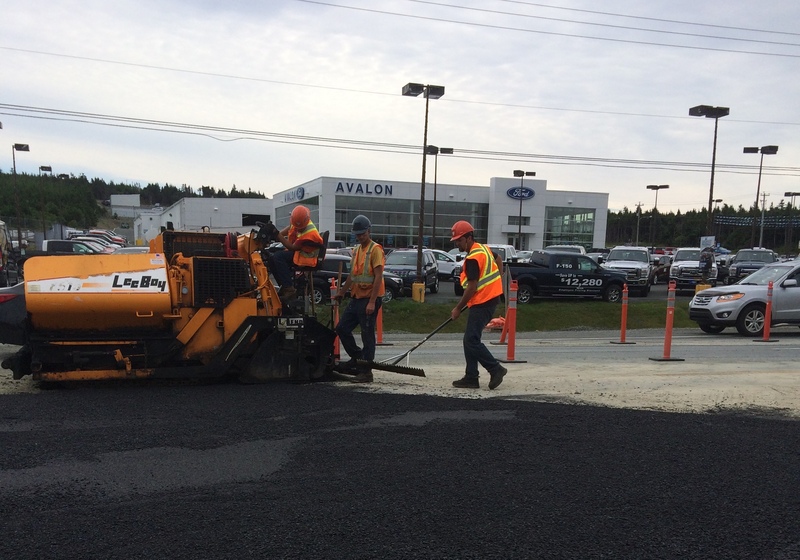 The location of the existing poles and elevation of the existing properties were the determining factors in the road alignment and finished grade of the street to ensure an optimum design. This project presented a number of challenges both during design as well as construction. 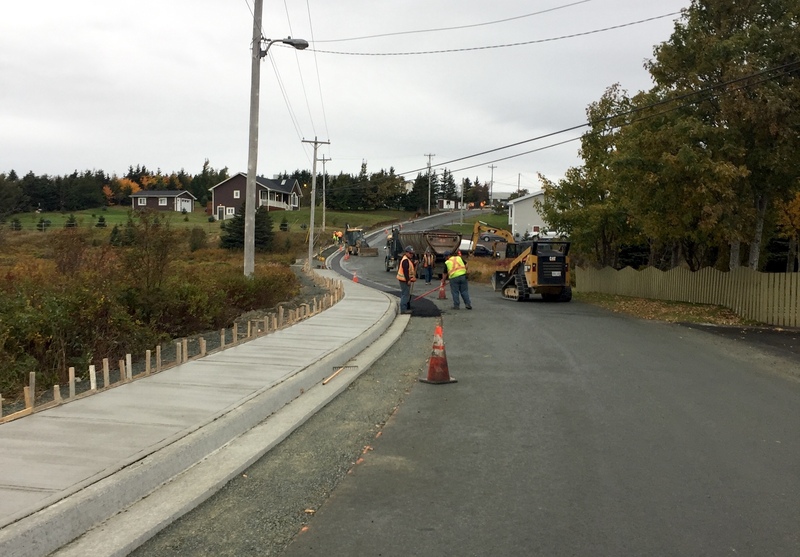 With the narrow nature of both the roadway and the right-of-way coupled with the traffic volumes due to the close proximity to the school, this was a complex but successful road upgrading project. 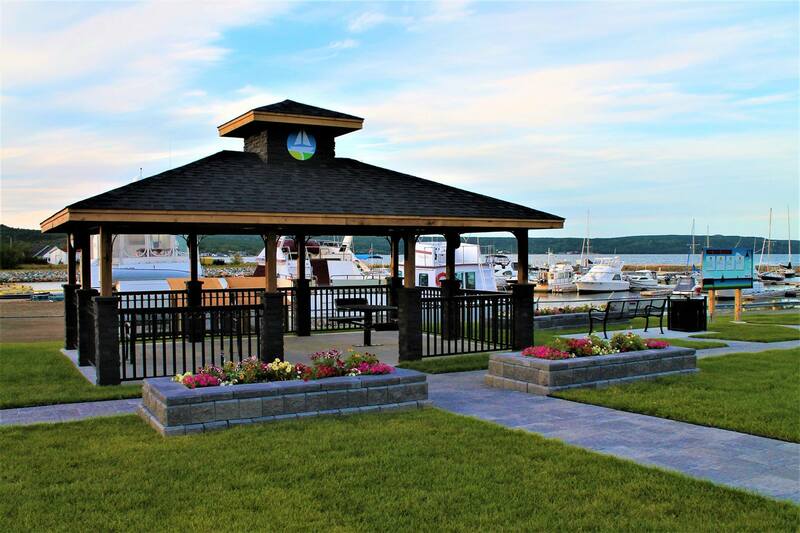 The project was successfully completed in the fall of 2015, on time and on budget.